If you love pumpkin and chocolate then you will surely fall in love with these cookies with your first bite! These cookies are pretty awesome. I love that they are chewy not cakey like most pumpkin cookies tend to be. Then to make these pumpkin cookies even more incredible I added chocolate chunks! What’s not to love about that? These were so amazing! These cookies are definitely on my top 10 best cookies of all time list! If you don’t have chocolate chunks you can use chocolate chips instead. I have to give the credit to these cookies to the girl who created this cookie base: Sally from Sally’s Baking Addiction. If you haven’t read her blog before you are seriously missing out! 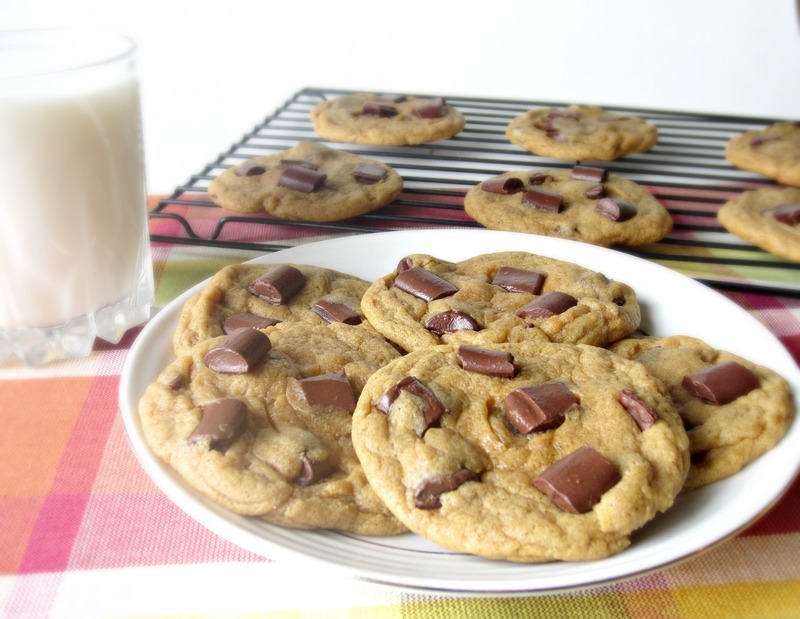 She spent time testing to find the perfect chewy chocolate chip recipe that isn’t cakey. Thank you Sally! To achieve that, this recipe uses melted butter and has no eggs in it. I changed it up by adding chocolate chunks instead of chips and changed the spices a little. Another awesome thing about these cookies is they come together quickly. Just stir together the dry ingredients in one bowl, the wet in another then mix them together, chill and bake! These cookies don’t spread much so be sure to flatten the dough balls down with your hand. Then enjoy the best pumpkin cookies of your life! In a medium bowl, add the melted butter, brown sugar, and granulated sugar. Whisk the ingredients together until no brown sugar lumps remain. Whisk in the vanilla and pumpkin puree until smooth. Set aside. 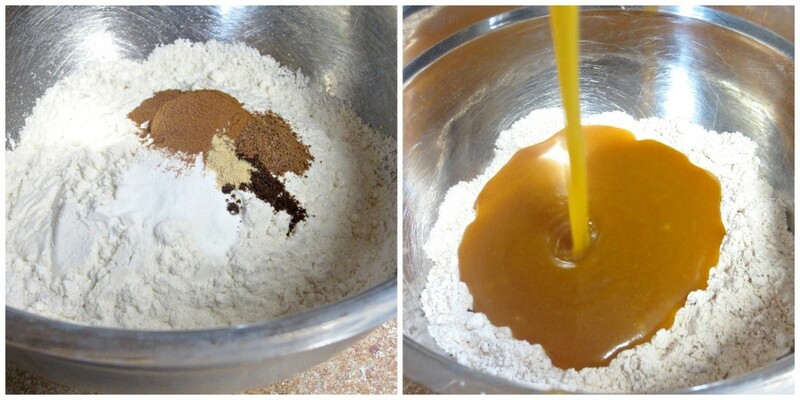 In a large bowl, stir together the flour, salt, baking powder, baking soda, cinnamon, nutmeg, cloves, and ginger. Pour the wet ingredients into the dry ingredients and mix together with a large spoon or rubber spatula. Gently fold in the ⅔ cup chocolate chunks. Cover the dough and chill for at least 30 minutes, or up to 3 days. When ready to bake the cookies, preheat the oven to 350F degrees. Remove the cookie dough from the refrigerator. Line two large baking sheets with parchment paper or silicone baking mats. Roll the dough into balls, about 2 Tablespoons of dough each. Slightly flatten the dough balls because the cookies will only slightly spread in the oven. Bake the cookies for 8-10 minutes. The cookies will look very soft and underbaked. That is normal, do not overbake. Remove from the oven and press a few more chocolate chunks onto the tops, if desired. 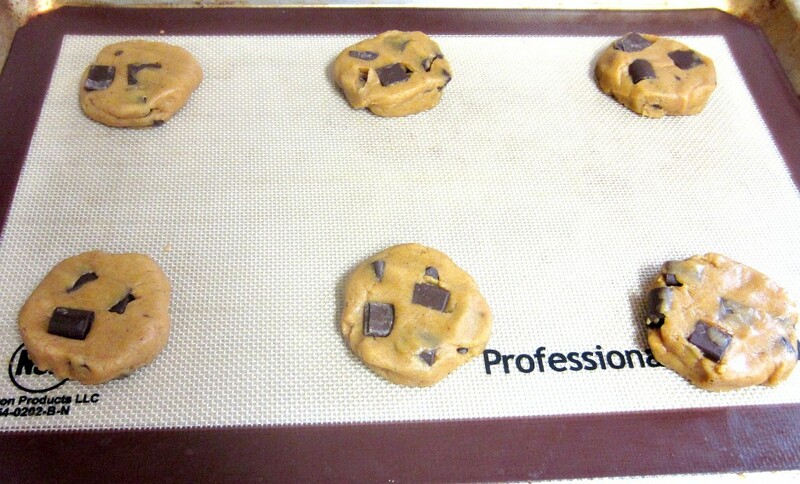 Allow the cookies to cool for at least 10 minutes on the cookie sheets before transferring to a wire rack. Hey I made these too! Delicious! These look so good. I want to give them a try. Becky seriously I am so jealous of your skills! These look incredible! 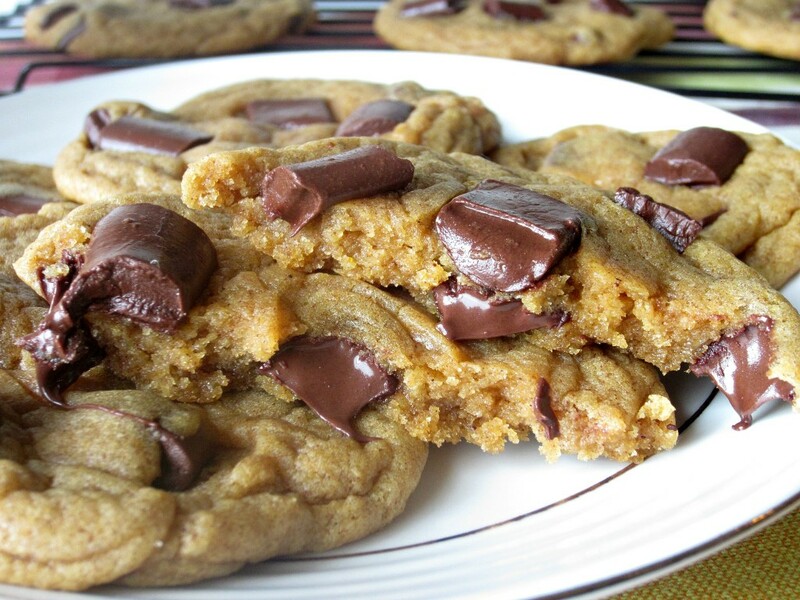 I need to make them I love everything pumpkin chocolate chip! I can’t wait to try these! They look SO incredible. You’ve sold me on these cookies! I love that you used chocolate chunks and not chips. I think they make a huge difference. I love Sally’s blog too, I’ll have to try these! All I can say is, “Yum!” That closeup picture makes me so hungry for these cookies. Thanks for sharing them at Saturday Night Fever!